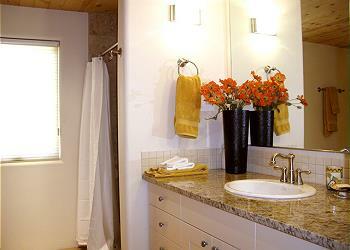 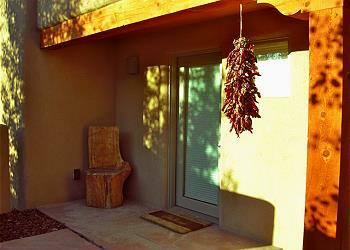 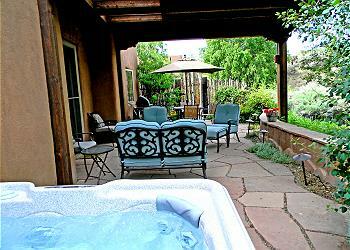 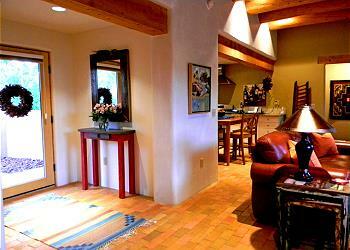 Alba de Sun Ra - One of the newest construction Taos vacation rentals in Premiere Properties' inventory! 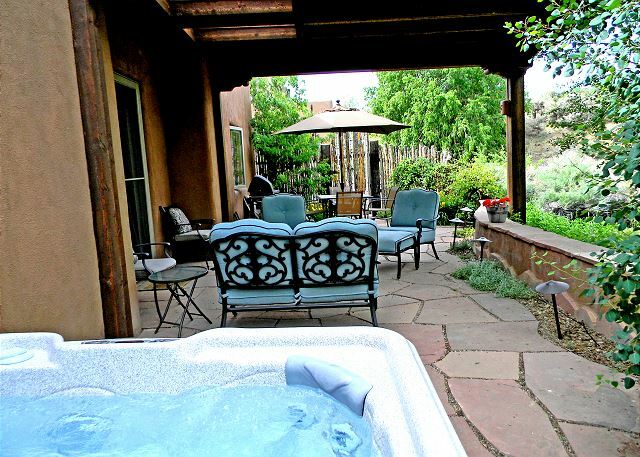 Sun Ra, elegantly and professionaly decorated, offers radiant heated brick floors, living room with viga ceilings and a totally private back yard with rare "in town" views of mountain and rolling hill side. Located 1 mile from the Plaza off of Kit Carson Road. 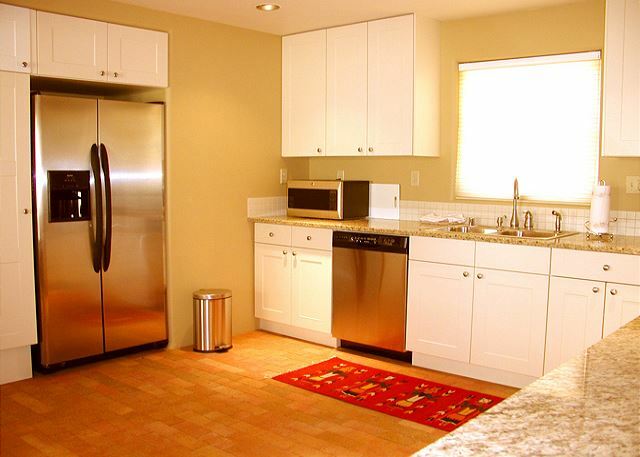 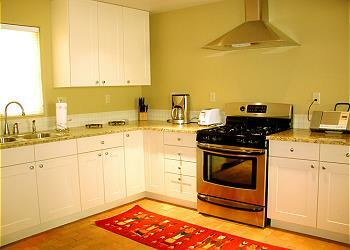 The large full kitchen, open to the living and dining area, boasts a high wood ceiling and upgrade stainless appliances. At night you are invited to soak in the hot tub and see nothing but stars and hear nothing but the sounds of the desert. 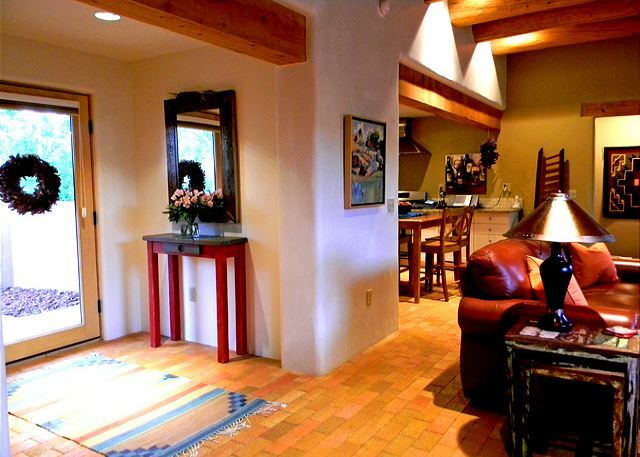 Overlooking the oldest continually-inhabited dwelling-place in North America, "Sun Ra" is a brand new Pueblo-inspired private residence drenched in sunlight, with heated brick floors, massive high-ceiling timbers, natural wooden doors throughut and a wide-open gourmet kitchen. 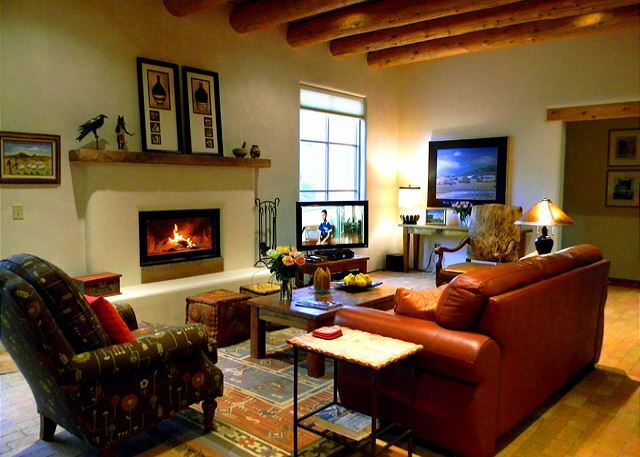 The timeless elegance of native Southwestern decor is a small part of this elegantly upscale two-bedroom two-bath home which also features total back-view privacy from a steaming outdoor hot tub and wide-open unobstructed views of desert mountains and starry night skies. 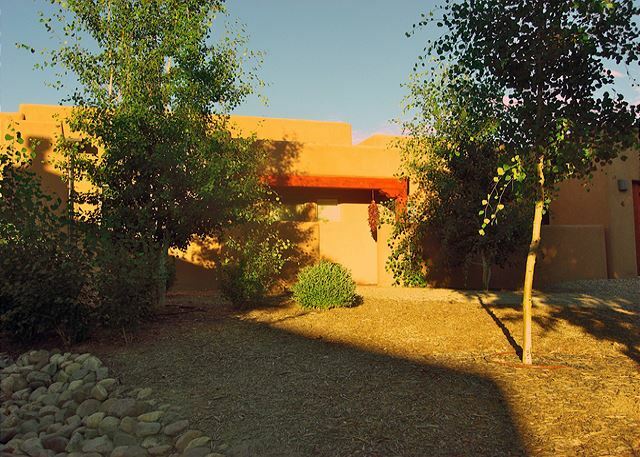 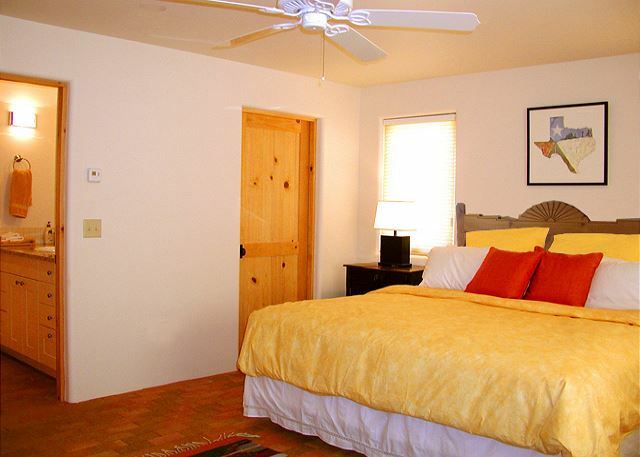 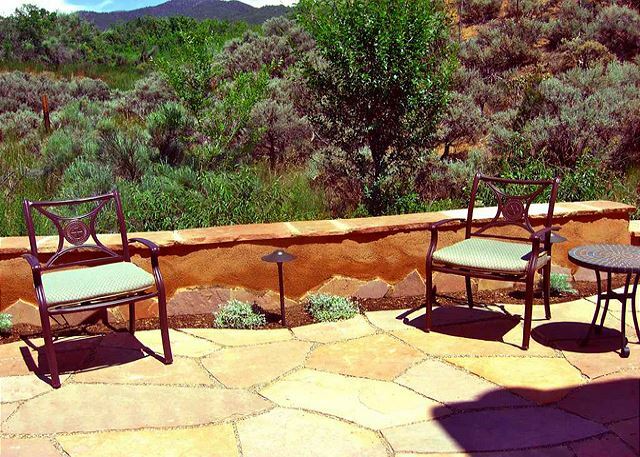 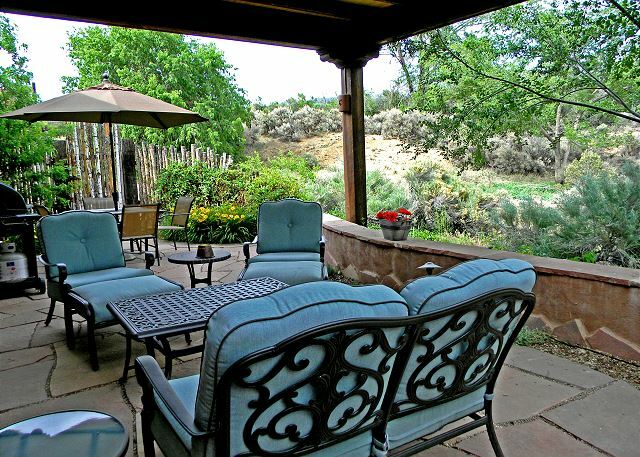 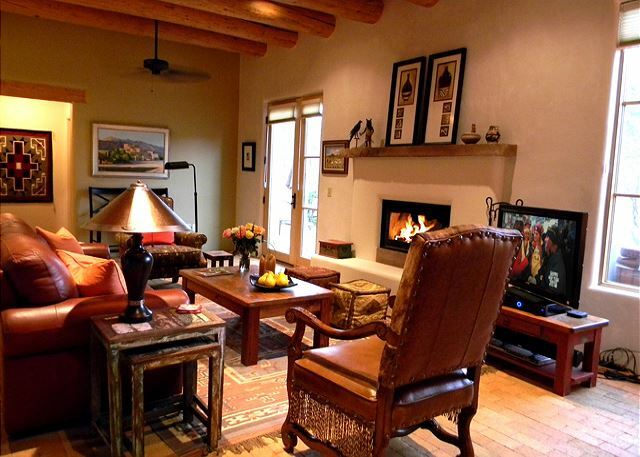 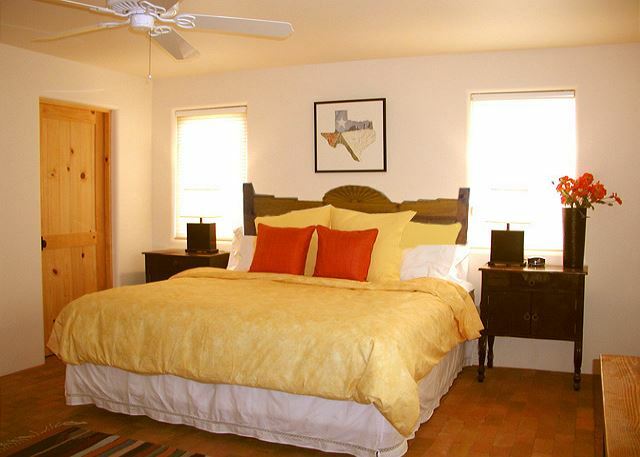 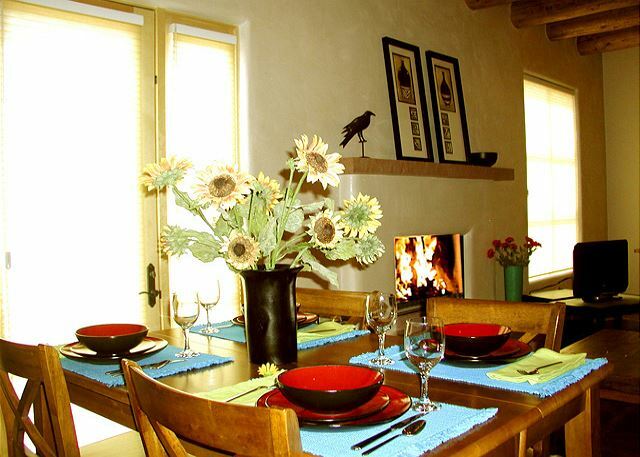 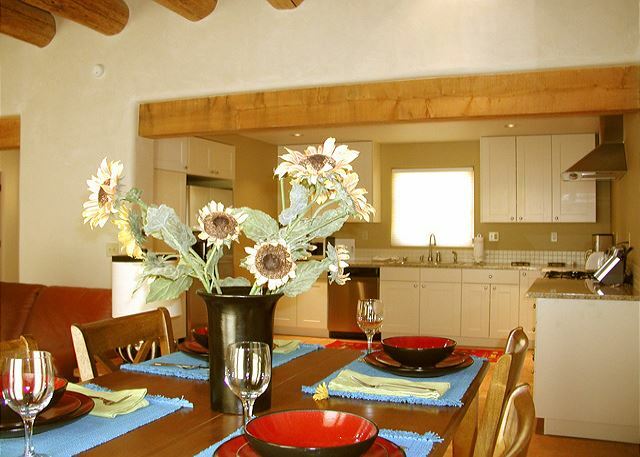 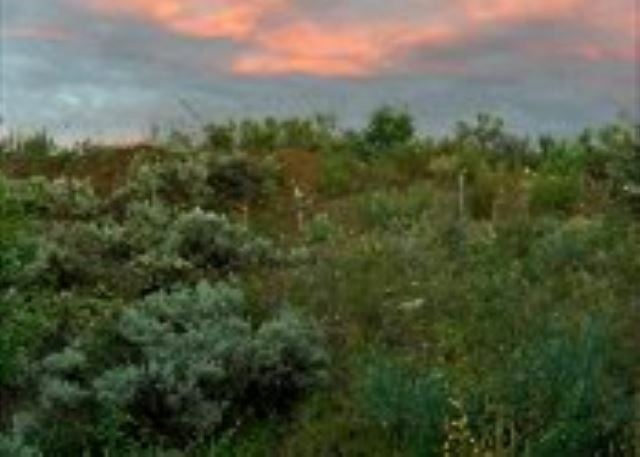 Yet, unbelievably ... you are an easy walk from the restaurants and shops of ancient Taos ... less than a mile from the Taos Plaza ... another of Taos Premiere Properties outstanding vacation rentals. 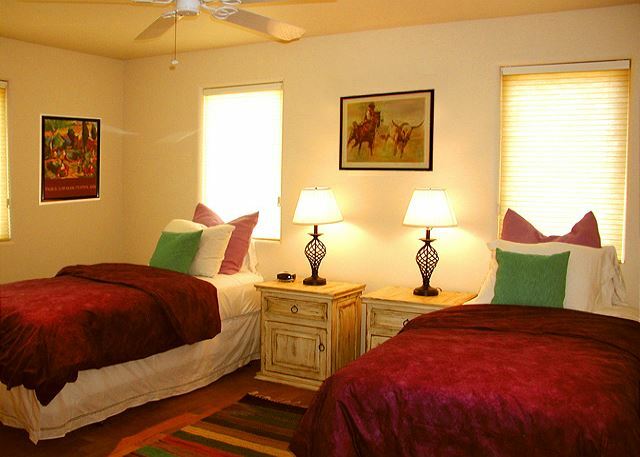 Please note this property has a King in the master bedroom and the option for a King or 2 Twins in the 2nd bedroom. 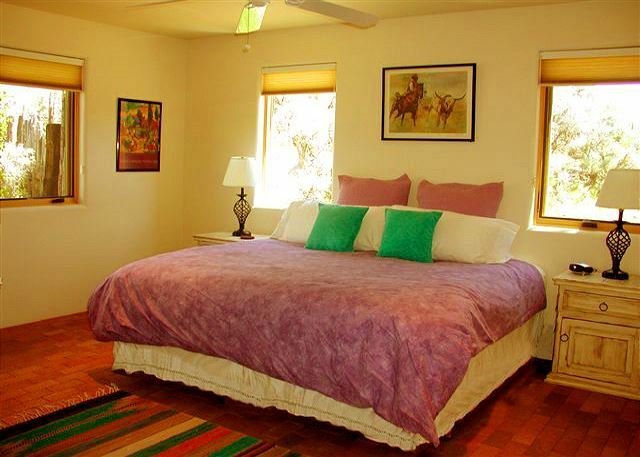 There are also 2 portable futon mats (meant for children) that can be placed on the floor. Wonderful Quiet Home! We enjoyed our stay at Alba de Sun Ra. The home is cozy and comfortable and we did not want for anything. 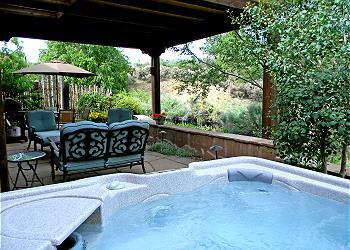 The view was beautiful and the hot tub hot! 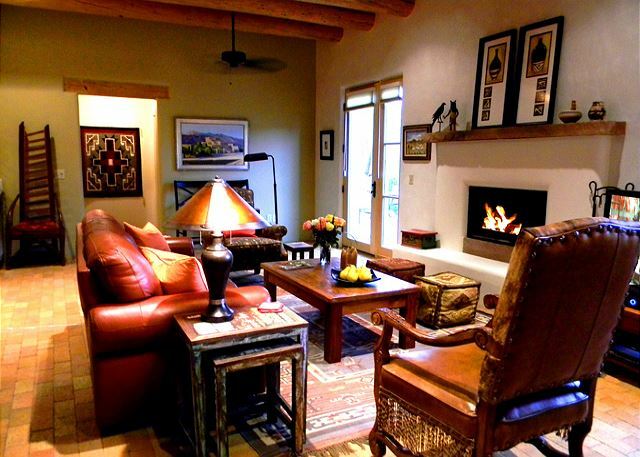 The warmed floors were unique and kept the place toasty as did the wood burning fireplace. 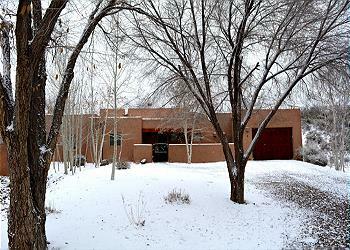 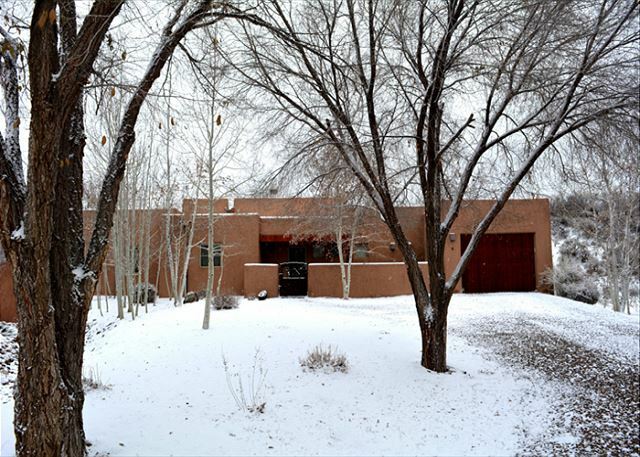 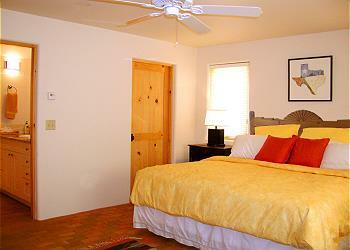 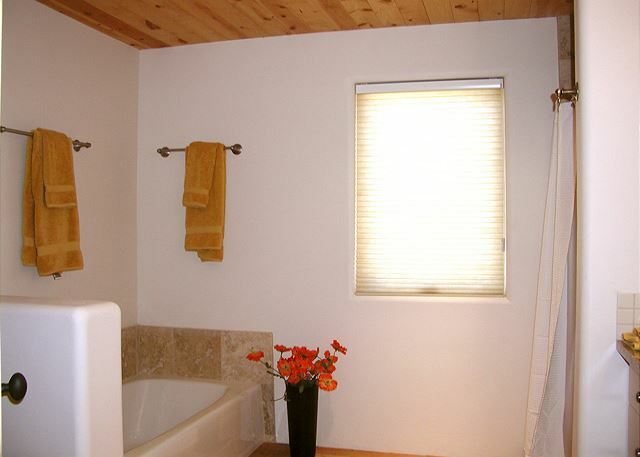 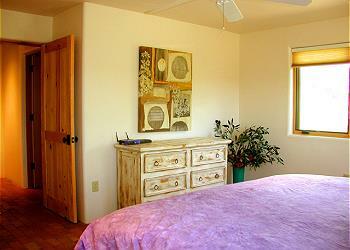 Very easy access to Taos, the Ski Valley and interesting points in the surrounding area. 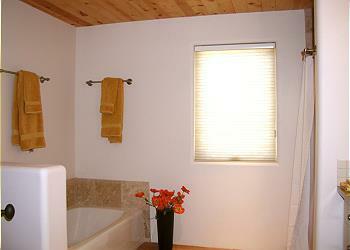 Kris the care taker was very easy to contact as well. Would definitely stay here again! 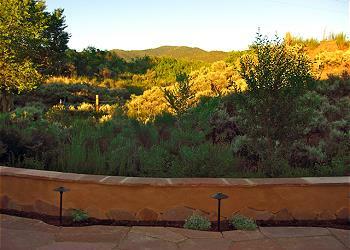 - H.S.